It feels a little strange to write about modern Africa since I have never been here before. So I suppose I am probably comparing it to the Africa I had in my head either from documentaries, movies, firsthand accounts, news, or books. So, actually I am probably comparing to my own biased-ness from documentaries about remote tribes, filmed 10 years ago - probably not a good comparison. Anyways it is remarkable what people think about Africa and what it actually is. It is a strange mix of traditional ways, aged colonial infrastructure and modern tools. To get around this limits though people use the modern tools in remarkable ways. I would say the two most important things I have seen while here come from the Chinese; cheap motorbikes and cell phones. The two actually work hand in hand to bring Africa forward. For example before people had to spend a whole day to go to the store or get some lumbar for their house. Now with their phones they can place and order from anywhere to be delivered by dala-dala. Or if they have to go to the city they take the public bus or motorbike down. Even remote roads have a motorbike which takes you to your house or lodge where no cars or buses go. With the bikes now everyone is connected to the major cities or towns and can get there in a day or do the round trip in a day. With their cellphones the people here have turned them into the whole economy with a tool called m-pesa. For smaller transfers, such as groceries or taxi rides, they just transfer money instantly between phone numbers. Plus as we have seen here everyone is very connected. People stop to chat to each other even if it is a stranger. So it seems like almost everyone knows everyone, which is key because connections mean everything here. If you want something you go through your connections and they fix it for you (zrihtajo!). So between texting and Whatsapp, their world moves instantly. And now as they have 3G across the country, which connects them no matter where they are to the world allowing both instant connections to each other but to the whole world and its ideas. This hit us hard when our computer cable broke. We walked to the towns local main street lined with corrugated roof shacks, and low and behold one shack had a Dell symbol painted on it. We took the cable in and the guy said he could replace it for 20$, or he could try to fix it. We looked at each other thinking – really!? How the hell is this guy going to fix it, he has a repair office next to some live chickens in a shack about the size of an airplane bathroom. But hey for 10$ vs 20$ it’s worth it! He gave it a try for about 2 hours, but he was missing a part since I had a rare US cable, but he still explained everything and he knew his stuff! Plus we saw while he was doing it he was researching on YouTube. Still, he could not repair the cable and we got a new computer cable faster than in Slovenia, London, or Seattle. The mix of technology, traditional ways, and the aged infrastructure can happen all at once. 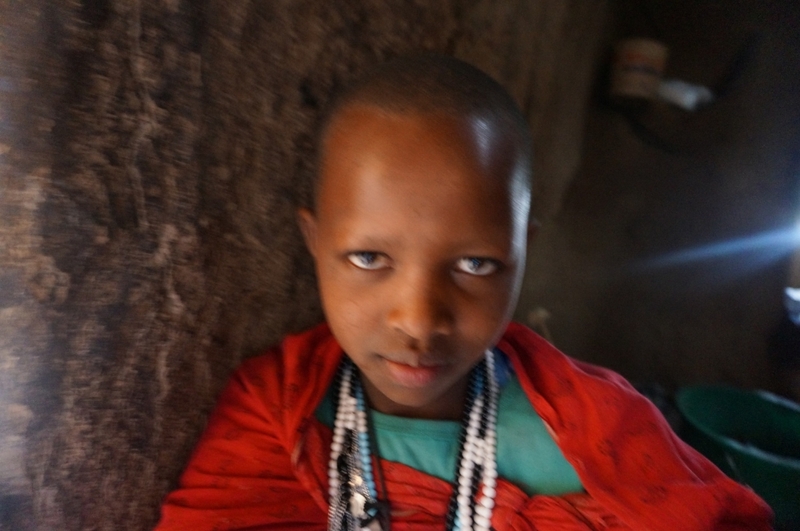 The lights go out because of the bad power system, but you see the glow of cellphone from traditionally dressed Maasai. There are countless stories like this; such as our guide calling a friend in the bush to take him to his house, booking rooms while riding the overcrowded bus, local music but from people’s phones, hearing Whatsapp and Facebook notifications as often as birds on bus, watching tribal lion hunts filmed on phone, or getting a lost jacket delivered same day 300 kilometers after I left it in a remote Maasai hut. When we prepare to leave the continent we will be doing the usual things that people imagine of scrubbing the red soil out of our clothes and shoes, looking at photos of Lions and tribes, handwriting letters to be mailed, but also we need to make sure that we have connected on Facebook to share our photos so our new Barbaige friends can view them on their smartphone with their family in their mud and stick hut or in some cases we need to get photos from them since now they take photos of us!